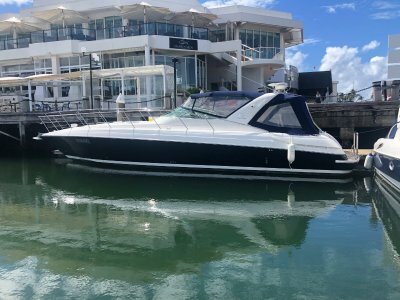 AU $690,000	Need Finance? Need Insurance? 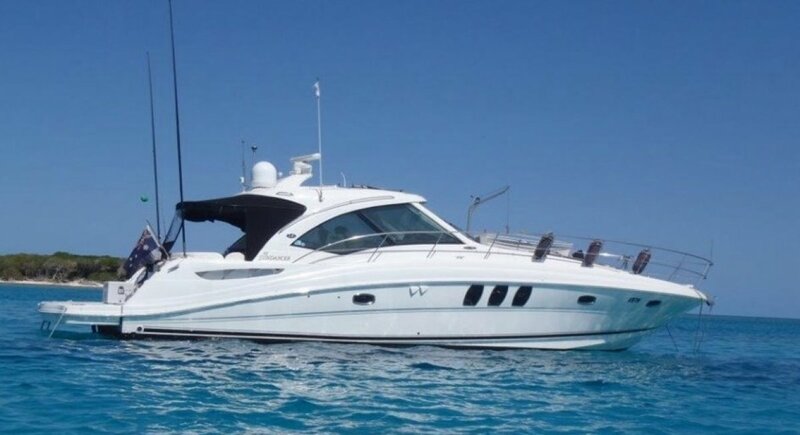 Immaculately maintained family cruiser, can sleep up to 8. 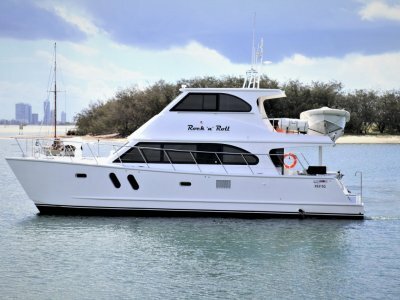 With twin cummins 540s, loaded with options, including bow thruster, hydraulic lift, a/c, Raymarine electronics, Foxtel sat dome, radar, Coffee maker, Bose stereo, blue underwater lighting, full sunscreens included round complete boat. 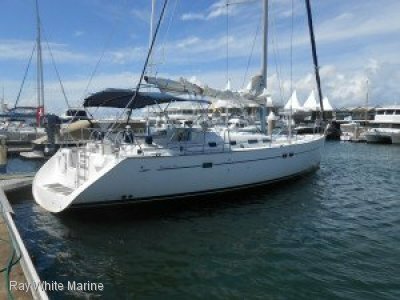 The saloon features include a u shaped galley, to port including television, fridge/freezer, microwave and coffee machine. The cockpit includes 2 plush helm chairs, 70L freezer, television. Two cabins featuring television in each and a/c, and an ensuite each. 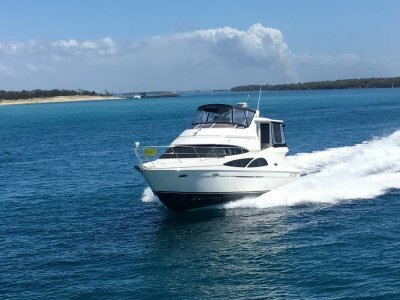 This boat has been fully set up for extended cruising.